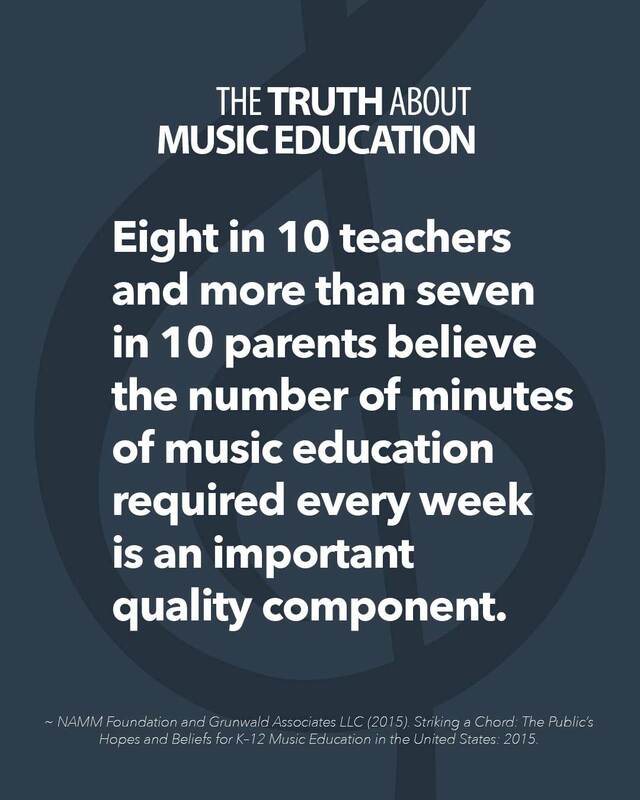 Eight in 10 teachers and more than seven in 10 parents believe the number of minutes of music education required every week is an important quality component. ~ NAMM Foundation and Grunwald Associates LLC (2015). Striking a Chord: The Public’s Hopes and Beliefs for K-12 Music Education in the United States: 2015.